Shop the only pocket knives guaranteed forever. 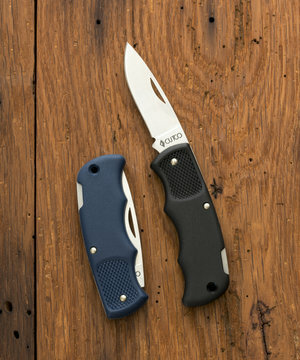 These American-made pocket knives feature a lockback design that keeps the sharp high-carbon, stainless steel blade safely open during use and securely closes when done. Engrave the blade or handle to make a memorable gift! $61 Sharp and handy. 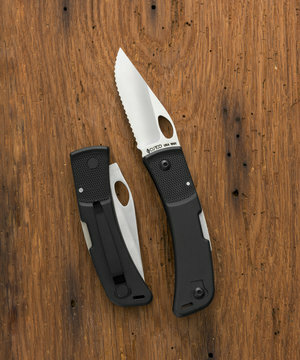 Lockback design keeps the sharp, straight-edge blade safely open during use. Handle is light and strong. Comes in a gift box and can be engraved. 2-3/8" blade. $99 Strength, agility and ease in one sharp package. Clip easily reverses for left or right pockets. Blade available with straight or Double-D® edge. Makes a great gift and can be engraved. $60 A reliable tool for every golfer. 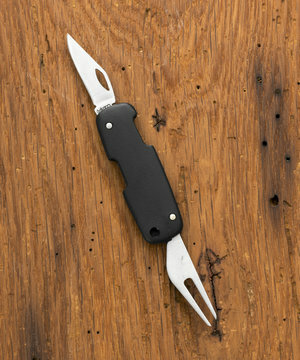 This 2-in-1 pocket knife features a stainless-steel divot repair tool, straight-edge blade and convenient key ring. Makes a great gift and can be engraved. 1-5/8" divot, 1-1/2" Straight-edge blade.